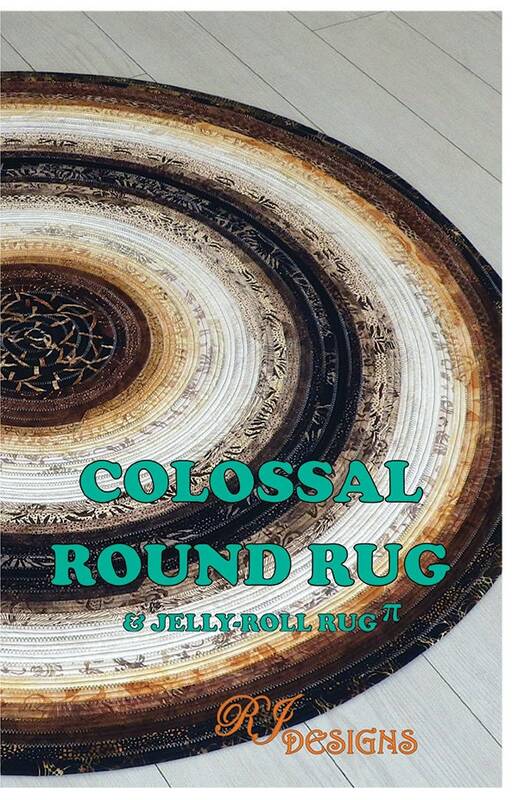 This pattern is slightly harder than the other jelly roll rug patterns by RJ Designs. This pattern has two round rug size options; a 38" (using one 2 1/2" strip collection) or a colossal 54" (using two 2 1/2" strip collections). For the smaller rug you will need 1 roll of the Bosal Katahdin 100% Organic Cotton Precut 2 1/2" x 50 yard batting and 2 rolls for the larger rug. 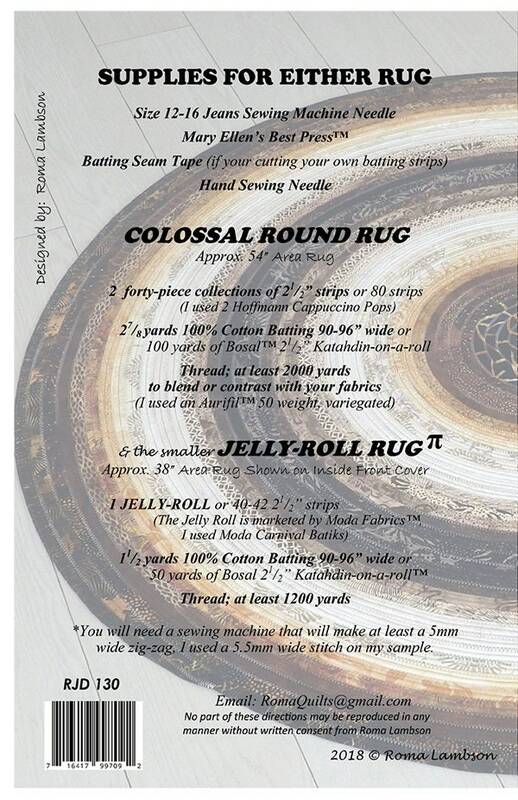 The batting strips for the rug are available in my shop.